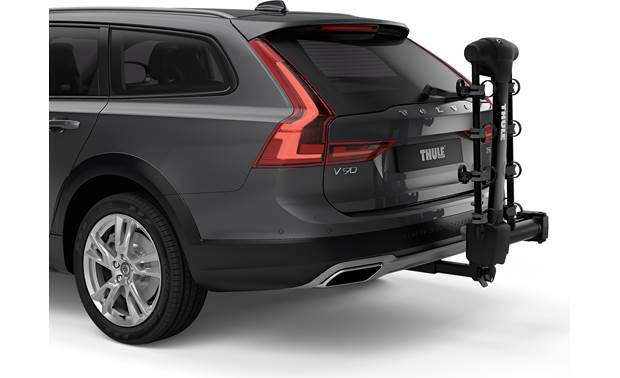 Thule's 9027XT Apex XT Swing 4 four-bike rack pivots out of the way in a flash when you need to get into the back of your vehicle. 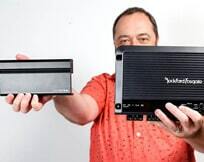 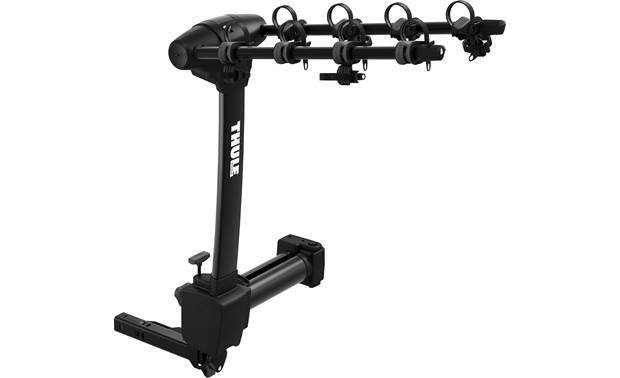 This sturdy rack supports up to 150 pounds, and attaches to 2" trailer hitch receivers. 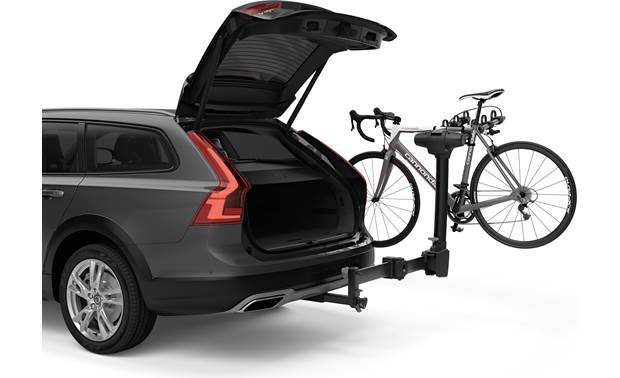 The rack's arms fold out of the way when you're not carrying bikes or storing the hitch. 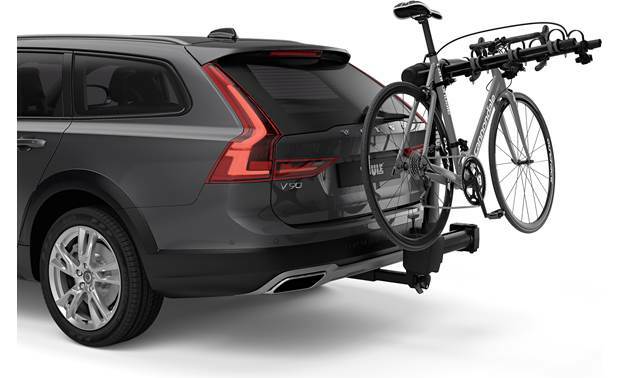 Thule's anti-sway system offers a steady ride so your bikes won't knock into each other, while an integrated anti-theft cable and a hitch lock deters thieves. 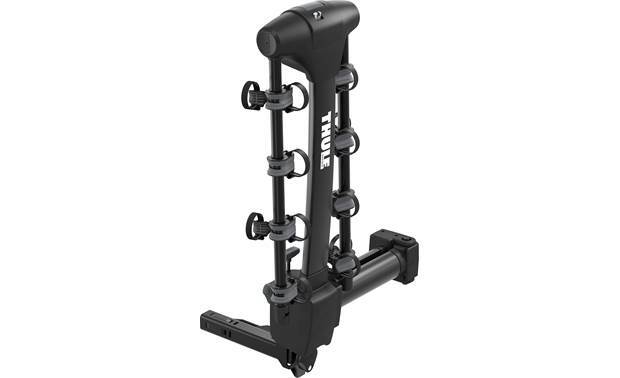 Non-swinging Apex XT hitch racks are also available in 2-bike, 4-bike, and 5-bike versions. 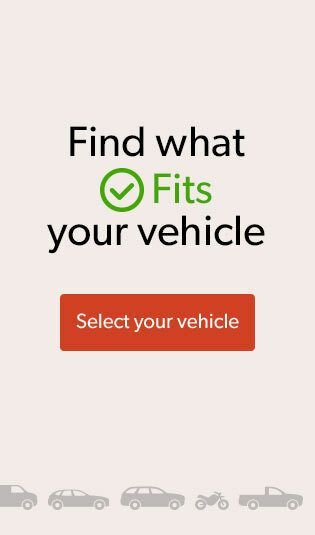 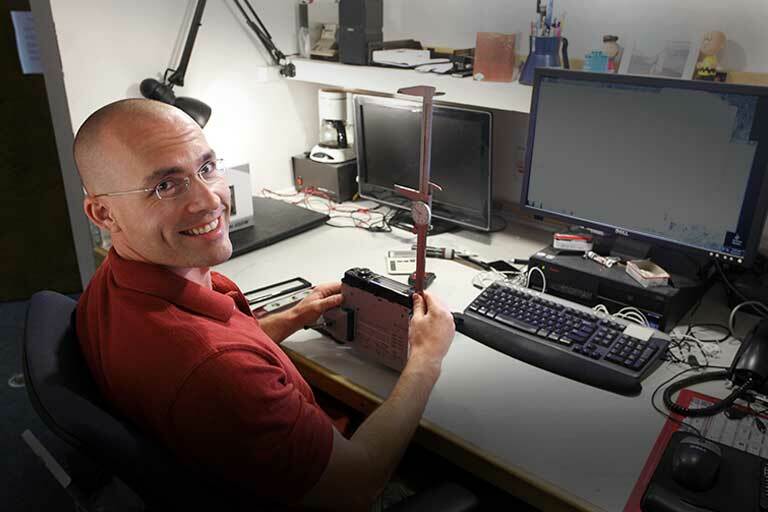 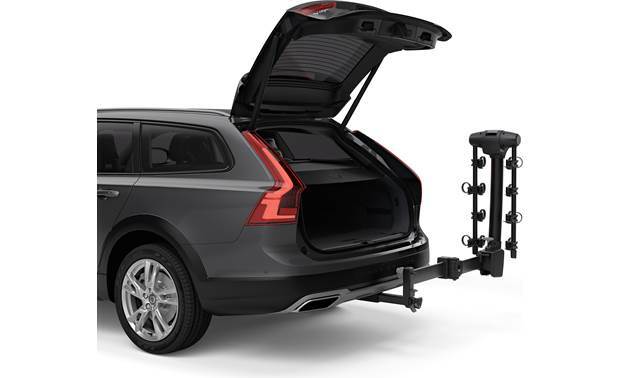 All Thule equipment passes tough European safety standards for car racks. 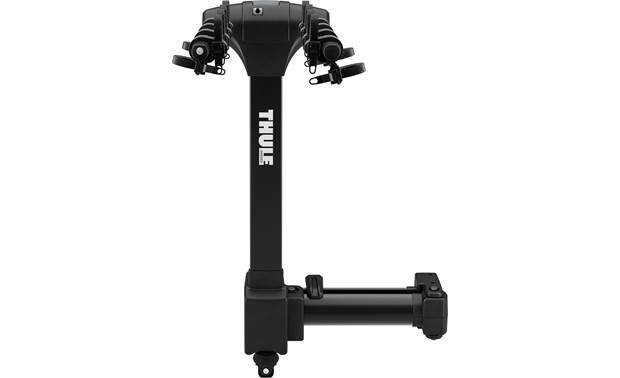 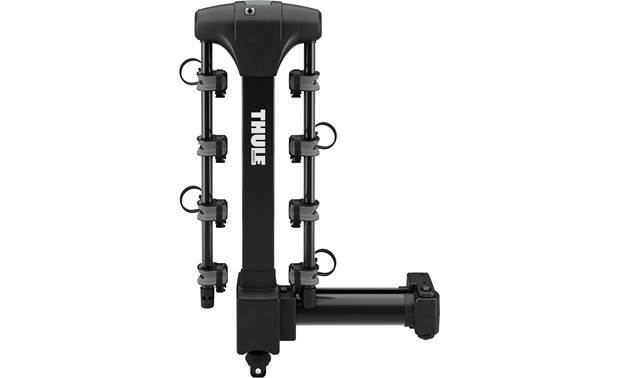 Searches related to the Thule 9027XT Apex XT Swing 4 Swing-away bike carrier for vehicles with a trailer hitch.